The great Melt Yourself Down were seen in the wild last week kicking out some jams on Jools Holland. For a band making their debut on the goggle box they made quite an impression - vocalist Kushal Gaya threatened to take out a cameraman with one of his scissor kicks a couple of times. You can check back on the performance of first single 'We are enough' here. It's also featured on their debut s/t album which is a must hear and comes out on June 17. A lotta new music this week and some bands you may have seen on tv lately. Low & Melt Yourself Down were both on Jools Holland last week, and great they were too. This Is The Kit (picture by Rory Coomey) played in Cork last w'end (brilliantly) and they're still on their Irish tour - their album is just re-released by Brassland of The National fame. Nancy Elizabeth remixed by Leaf labelmate Matthew Bourne, gorgeous of course. The Last Sound new album comes out next week, another killer number from them (is it goth-electro? I'm not sure, who cares...). Colleen being intriguing and mysterious about birds, from her first album in several years. V.O. being progressive and poppy and irresistible. Scout Niblett covering TLC. And this week's obligatory Thrill Jockey loveliness from Zomes. And of course Here Is Your Temple providing one of the great fist-in-the-air pop anthems of recent years. 'Once rich' shows no sign of getting tired any time soon. I had the great pleasure of exchanging correspondence recently with Little Annie. As you know, I was a huge fan of her album with Baby Dee last year on Tin Angel Records, State of grace. It had a great dignity about it, some wonderful instrumentation (especially Dee’s fluid piano playing at the core of it) and it brilliantly evoked real life, earthily, through a kind of debauched New York prism. Pop music is simple enough when you know how to put it all together. Here Is Your Temple are a Swedish group with an English singer. The song opens with a soft, insistent bass drum and a circling guitar pattern. Then, a synth masquerading as an air raid siren signals the first uplift. The first of many, as a chorus appears that just keeps on giving. Like a Fleetwood Mac Rumours chorus, pitter patter bass and epic, stadium synth melodies. You’ll be out of breath by the end and putting the thing on repeat. Every now and again, you hear a piece of music that makes it clear the maker is not in the game just for cheap thrills (to be clear, we’re completely in favour of those too, everything in its right place). This is one of those records, from the legend that is Randall Niemann of Detroit, aka Fuxa. The highpoint for me is ‘Mary’, a tribute to the late Mary Hansen of Stereolab, who died some years back; Fuxa and The Lab were partners in crime back in the day. It takes a rippling synth pulse, Cluster style, and adds an organ melody to give momentum, depth and so much feeling. It’s church music, it’s cosmic, a little bit sacred, a pastoral lament. It’s one of the most beautiful things in music this year. 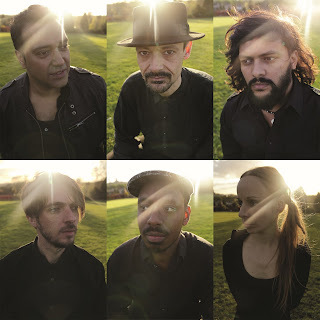 *To seal the deal, it is followed with ‘Amen’, a kind of slowed-down Spiritualized boogie (in fact Jonny Mattock, sometimes of that parish, plays drums on the track) with a lovely playful undertone. V.O. are a well-established six-piece from Brussels (although new to me), centred around the elegantly moustached Boris Gronemberger. On their third album they've hooked up with John McEntire of Tortoise on production and the results are stunning. More on the album anon, but for now sample this intoxicating first single. It might make you think of Stereolab a little in the vintage synth lines, maybe Tortoise in some cultured jazz inflections. The glorious male-female harmonies (the latter by Aurelie Muller, ex Soy Un Caballo) around simple keyboard repetitions might even make you think of a folkier Beach Boys, but there's something brilliantly progressive in the restless, shifting bass melody and massively uplifting in those serene brass swells that makes this sound all their own. It also seems to be a protest song, a call to arms which of course is stirring enough in itself, but apart from that, as I said earlier, it's irresistible and bar-raising pop music. Melt Yourself Down were/are on tv with Jools Holland this week, which is great, so why not give them first stab, paired with some New York No Wave from Mofungo. 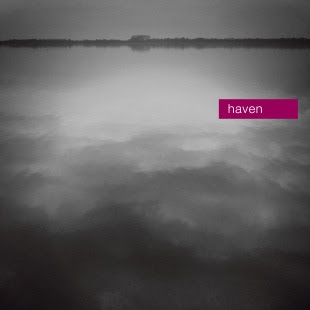 New music this week from Halves, also Camera Obscura, Nancy Elizabeth from her enchanting new album, TEEN and a beautiful guitar instrumental from Glenn Jones. This Is The Kit (new album out on Brassland, The National's label) and The Lucid Dream both tour Ireland this week. We also had more great soundtrack work from John Parish. And my new favourite band, V.O. from Brussels (pictured). Their 'When you see red' is one of the songs of the year, a drifting, shifting piece of prog pop, appropriately produced by John McEntire of Tortoise. It also seems to be a protest song, a call to arms, but apart from that it's irresistible and bar-raising pop music. A few new releases this week. Some great spooky, fairy tale sounds from Colleen from her new album, her first in several years and god to hear her back on form. And a wonderful fuzz drone instrumental with violin from the new Date Palms release The Dusted Sessions. 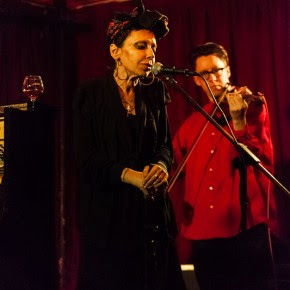 Also on Thrill Jockey, more from the John Parish soundtrack album Screenplay, that's great stuff, and the new single from Nancy Elizabeth on Leaf, folk music taken beautifully to the dancefloor. The always reliable power pop of Telekinesis, the edgy but melodic electro pop of Monocle. The Altered Hours are a band based in Cork (although they're not all from Cork, interestingly) and they're creating quite a buzz at the moment. And not just at home either. Cathal Mac Gabhann and Paddy Cullen from the band were in studio last week chatting about their musical influences - they brought along some tunes with them - and their wonderful new Sweet Jelly Roll EP which came out last week, recorded in Berlin with Fabian Leseure and released on a Recordings (Brian Jonestown Massacre, Dirty Beaches). It was all most interesting - we found out that Cathal got into punk via a friend who was into skateboarding, that he met at his granny's house! ; and that Paddy had a row with someone at a house party in Ballina over a bottle of Buckfast and proceeded to discover The Clash. The lads also had some interesting ideas about psych rock and and why it seems to be in the water these days. A special with The Altered Hours this week. Cathal and Paddy from the band were in studio chatting about their musical influences, they brought along some tunes, and of course their wonderful new Sweet Jelly Roll EP which came out last week, recorded in Berlin with Fabian Leseure and released on a Recordings (Brian Jonestown Massacre, Dirty Beaches). The Altered Hours play at The Pavilion in Cork tomorrow night with The Northern Drones, launching their EP, and are touring Ireland over the next couple of months. 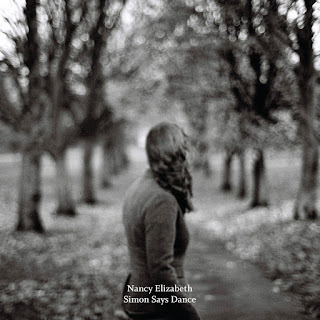 The new single from Nancy Elizabeth's upcoming third album, Dancing, this is more of a grower compared to the immediate impact and sweep of the previous single 'The last battle'. Nevertheless, a great air of mystery and captivation still emerges, via a hint of a Balearic beat and an ageless choir of Nancys. A repeating piano arpeggio is the main musical motif, set against banks of those beautifully delicate backing vocals, until a drum machine, some fuzzy bass and twinkling synths give the song title its head. There's an interesting provenance to that title. "I was thinking about how easy it is to walk around thinking that you exist in isolation - to feel somehow cut off. When the fact is that we all have an effect on everyone we interact with all the time and vice versa. I wrote a little poem about it, using dancing as an analogy." Simply put, this is a stunningly beautiful collection of instrumental compositions by Pieter Nooten, broadly speaking in ambient/neo-classical territory. Piano is the central instrument, carrying most of the melodies which are mournful but often intense. To my ears, there's some overlap with someone like Michael Nyman here and there, and elements of Steve Reich and minimalism generally, but really this is romantic music at its core. Music to move you, deeply, emotionally. Heart music. This album is also part of a particular conceptual project, on which there's more background here. Circus Devils are Todd Tobias, his brother Tim and longtime collaborator Robert Pollard. Pollard adds vocals and of course his unmistakeable, timeworn tones would sound intriguing reading the phonebook. 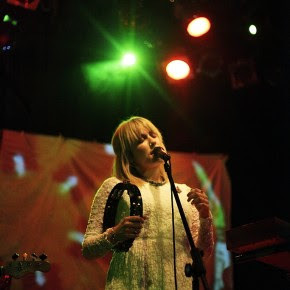 Here a haunting, repeating piano pattern and some synth atmospherics are the only backdrop to a typically surreal tale, making for a memorable psych pop diversion. The forthcoming album from which it is taken, which is also the soundtrack to a film directed by Todd Tobias called I Razor, should be well worth a look see. *For some reason, something about this also reminds me of early Waterboys. For me that's a good thing too. Free download here. A few great new things from Thrill Jockey this week - Peals is a new group consisting of William Cashion of Future Islands and Bruce Willen ex-Double Dagger who play delicate, drifting instrumentals; John Parish is a well-known name, but his new album is a collection of his less well-known (to me anyway) soundtrack work - it's brilliant; and grand soundscape composers Mountains, who play Cork next week. A couple of very nice Irish female-fronted pop releases, Cat Dowling with a bluesy take, Cave Ghosts with a lovely surf-pop feel. Television announced their reform date at the last ever ATP in November this week; brand new music from Colleen and new-ish from Alisdair Roberts. And my new favourite band, TEEN, superb drone pop produced by Sonic Boom.